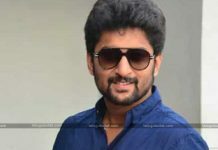 Recently, Natural Star Nani has said goodbye to his BiggBoss host job. Now, he is very free and he is also feeling like that. Actually, Nani was the favorite hero for all heroes’ fans and he was cool before the BiggBoss show. But, after entered into the BiggBoss, he faced a lot of allegations from the audiences and majorly from the Kaushal Army. BiggBoss contestant Kaushal got huge fans during the show, but the fans pointed out the host Nani for criticizing Kaushal. After all issues, and game show, Kaushal became the winner of BiggBoss. Moreover, Nani was free from BiggBoss show and he posted a tweet about it on the last day of the show. Albeit, Nani has recently attended an interview. So, the anchor asked him about the BiggBoss. Anchor – Will you do the BiggBoss third season? Nani – It is my last season and I have announced it on Twitter recently. Anchor – At least as a contestant! Nani – Never. In the part of the show, I have spent three hours of time in BiggBoss house and that was enough. Anchor – Is BiggBoss either pleasant or pressure? Nani – I felt pressure and in last four months, I didn’t take leave. In childhood, we get holidays after exams and we feel relief at that time. Currently, my situation is same as like that. Previous articleIs This The PK’s Strategy For Upcoming General Elections?